J.R.R. 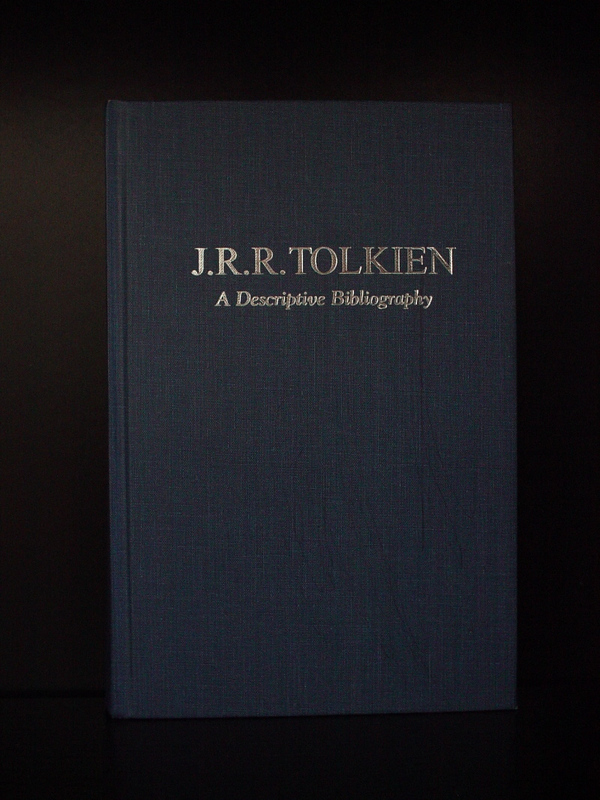 Tolkien: A Descriptive Bibliography was written in 1993 by Wayne G. Hammond with the assistance of Douglas A. Anderson. Anyone willing to collect books by Tolkien simply must have this book. It covers every known detail about the publication of his books. Originally published by St.Paul's Bibliographies, Winchester, in 1993 and a second printing in 2002 by Oak Knoll Press. It might in the beginning seem boring, a book full of publishing details, but it is actually an interesting historical account of Tolkien's trials and tribulations getting his works out to the public. It shows us how hard it was to get your books published and to get it done proper. You'll see how Tolkiens proven masterwork The Lord of the Rings was believed to be a failure. Since no one expected the book to do well, appropriate plans were not made to deal with the incredibly high demand for the book. Although Allen & Unwin had success with The Hobbit, and should have expected at least equivalent success with The Lord of the Rings, they could not have anticipated the frenzy of demand that developed, especially in the American mass market.